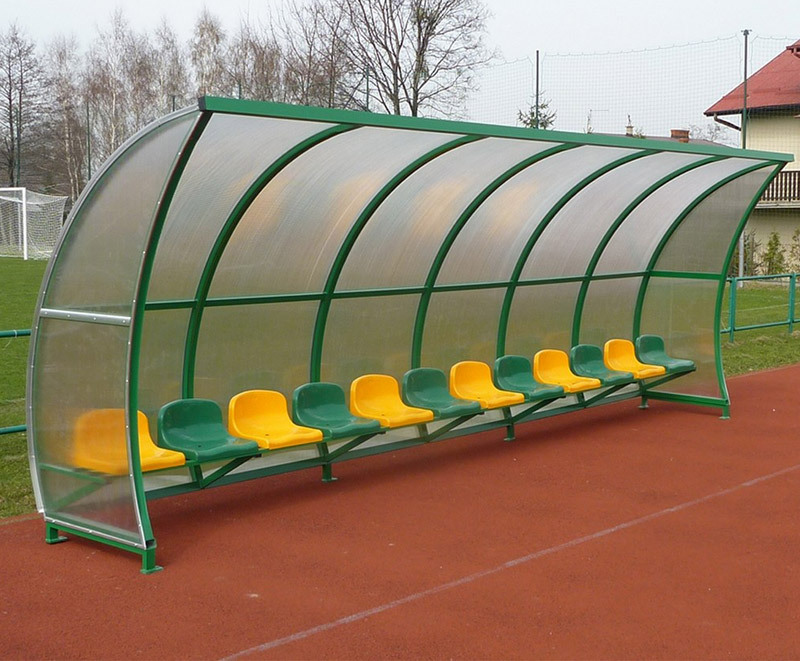 Besides sports bleachers in our range we also have football team shelters, which are available in three standard construction types varying in their shape. Football team shelter’s construction is made of either steel profiles, steel galvanized profiles, or aluminium profiles and is powder-painted (at any requested colour from the RAL palette). The construction is covered with either cellular or solid polycarbonate (solid polycarbonate panels are either transparent or brown) panels with aluminium finishing. The seats for our football team shelters are available in two basic versions: single plastic seats or a bench with wooden top.